This year the Toronto Catholic DSB’s 21st Century Learning Department focused on the 21C competency Knowledge Construction (KC). This is one of six competencies included in the NeXt Lesson. The NeXt Lesson is a teacher self-reflective tool that supports teacher practice in addressing 21C skills. “Knowledge construction happens when students do more than reproduce what they have learned: they go beyond knowledge reproduction to generate ideas and understandings that are new to them. The skills of knowledge construction are often considered “critical thinking.” Activities that require knowledge construction ask students to interpret, analyse, synthesize, or evaluate information or ideas.” (Department of 21st Century Learning) We believe that the big ideas of KC, can be fostered through Coding. 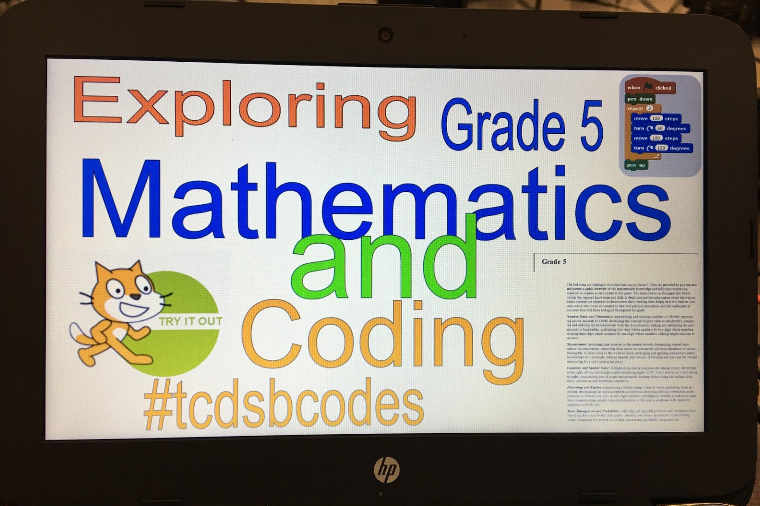 “Coding is an employable skill that teaches students to solve problems, take risks, think critically and logically.” (TELO) As well, we believe that improvements in the level of student engagement in grade 5 mathematics may be possible because of the integration of coding activities. Our professional learning sessions were also informed by the 21st Century Competencies Foundation Document for Discussion of the Ontario Ministry of Education. In the spirit of PPM 159, the Mathematics, Research, and 21C departments engaged in collaborative professionalism to design, organize, and facilitate professional learning sessions. Using our CODE funding, one grade 5 teacher from each of our elementary schools was invited to attend two full days of learning. Our focus throughout was to emphasize the mathematics, and then introduce coding as a tool to foster 21C skills. During each session we included opportunities to gather teacher voice. As a result, we were able to offer a variety of learning opportunities and support as needed. After each session we collected feedback that informed the design of our next session. From the feedback, we were able to gauge some evidence of impact on teacher practice and student engagement based on perceptual data. 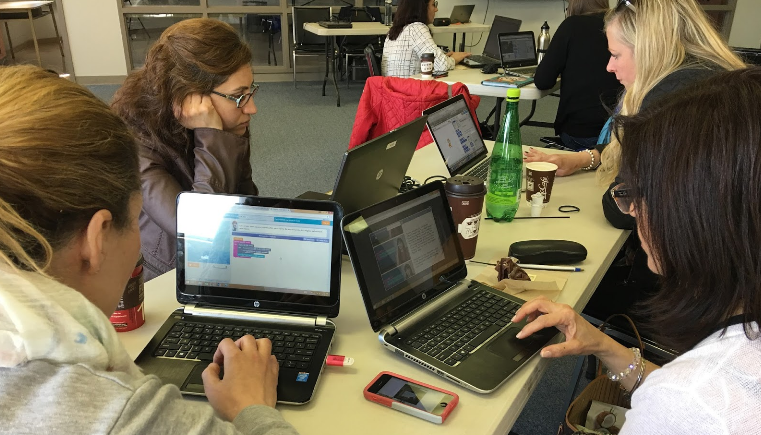 Overall, teachers expressed an interest to continue exploring coding and how it can be integrated in math. We look forward to the opportunity to continue learning alongside them! 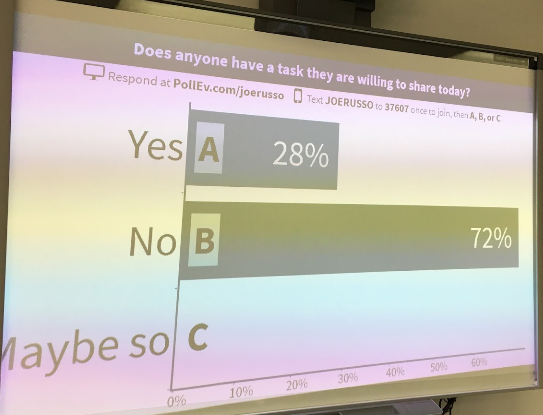 Today I learned…How to apply Scratch to other curriculum areas and how Scratch connects with measurement.